Here is another paper hot off the press from Mark Christie, former researcher at Oregon State University in the Michael Blouin genetics lab, and several other authors. They looked into whether and how quickly genetic changes could be detected in the offspring of wild steelhead when they were bred in a hatchery. First, a short genetics lesson. Domestication is the selection of genetic traits that improve an organism’s survival in captivity, typically because they are traits we find more desirable. For instance, we have sculpted the genetics of cattle over time to more closely match their attributes with our needs, such as selectively breeding individuals that produce the most milk and breeding animals with faster growth rates to shorten the cycle of beef production. The tradeoff is that selection of traits that improve an animal’s survival in captivity also reduce its survival in nature. It is hard to be good at two things at once. Hatcheries are also capable of inducing domestication, yet very little is known about how rapidly the effects occur and how extensive the changes are. Well, the paper by Christie et al. took a big step forward in answering that question for steelhead. They found, after only one generation in a hatchery, that over 700 genes were expressed differentially by offspring of steelhead that were reared in a hatchery compared to wild fish that were not. 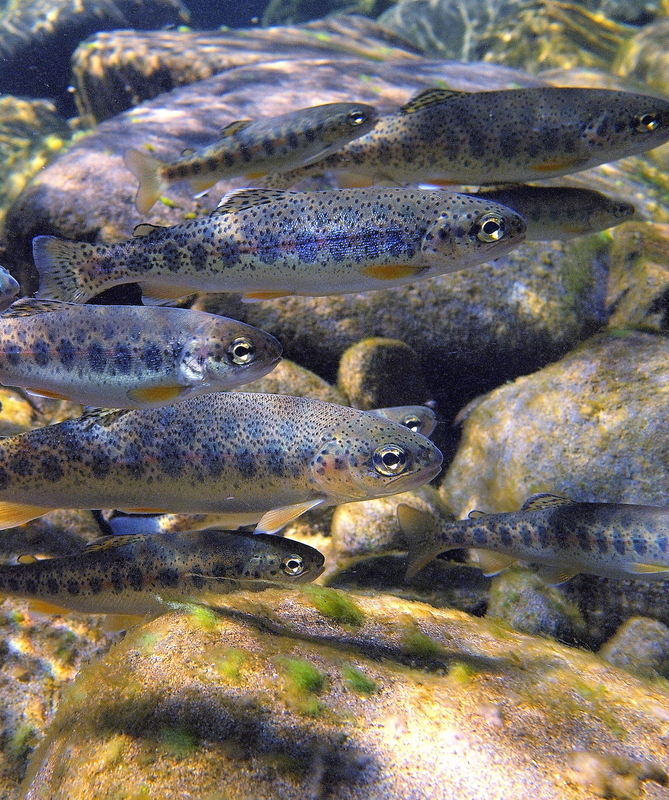 The genetic changes observed in first generation hatchery steelhead were specifically related to traits such as wound healing, immunity and metabolism. The authors theorize that high rearing densities may be responsible for the selection. This could be true given that similar traits have also been selected for in other domesticated animals reared at high densities, such as chickens, farmed Atlantic salmon, and rabbits. Why are those traits important? Well, we don’t know for sure based on this paper, but there is enough research on steelhead and other species of salmon to hazard an educated guess. First, hatchery fish often experience fin erosion and damage due to high rearing densities, so it may be beneficial for fish to express genes that prevent or help heal such wounding. Although selection for improved immunity or wound resistance offhand seems valuable in both hatcheries and nature, the problem is that a fish only has so many gene combinations to allocate to different traits. Think of it like a role playing game where you have a limited number of points to create a character. In some games you may allocate most points to speed, in other games you might allocate more to strength. You are trying to match the strengths of the character to the needs of the game. For fish then, an overinvestment in one trait, such as immunity, disrupts the balance of traits that were selected for – over thousands of years – to maximize survival in the wild. Second, fish with faster metabolisms are more aggressive in seeking out food and in competition with other individuals. While increased metabolic rates may help fish acquire more food in the crowded rearing conditions found in hatcheries, such a trait may be selected against in nature because it requires taking more risks to acquire food. More risks typically equals higher rates of predation. Regardless of what is driving the differences, the results highlight that there are immediate changes in steelhead genetics due to the hatchery environment, and such changes likely help explain why first-generation hatchery steelhead survive at lower rates than wild ones. The fact that rapid domestication in steelhead is evident after just one generation in a hatchery has two primary management implications. First, experiments are needed to see if these harmful genetic effects can be avoided. Variables to test include rearing fewer fish at lower densities, growing them at a more natural rate, introducing them to predators, providing cover, and releasing them over a broader time period. Expense is a major factor, however. It costs substantially more fish to raise fewer numbers of juvenile steelhead for longer periods in more natural settings, which means that the tradition of releasing scads of hatchery smolts will need to change if we want hatchery fish to be more like wild fish. Second, we should proceed cautiously and select the right rivers when attempting to use integrated hatcheries to support harvest. 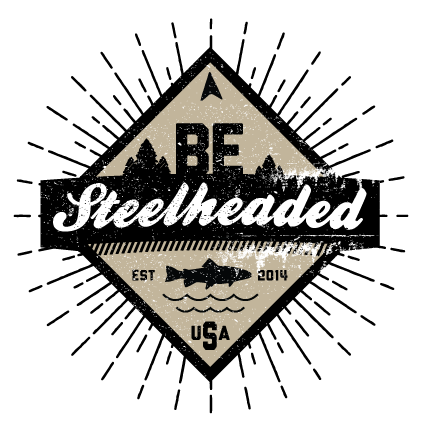 Where we have relatively healthy, abundant wild steelhead populations it makes no sense to “mine” wild steelhead for the purpose of breeding them in a hatchery to produce offspring with harmful genetic mutations and lower survivability. Instead, we should focus experiments on rivers that have less potential for wild fish. Our proposal to use a portfolio approach to steelhead management is a good way to address both management issues. In a few select rivers we would experiment with innovative integrated hatchery techniques to determine if there are effective ways to avoid the genetic harm found in the Christie et al. study. 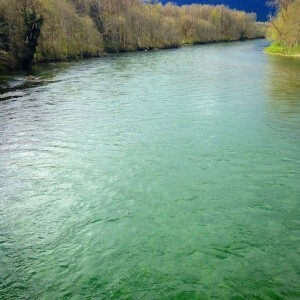 At the same time, we would avoid harmful hatchery effects of on the healthiest and most abundant wild steelhead populations, such as the Skagit, in order to maximize their reproductive success and survivability.